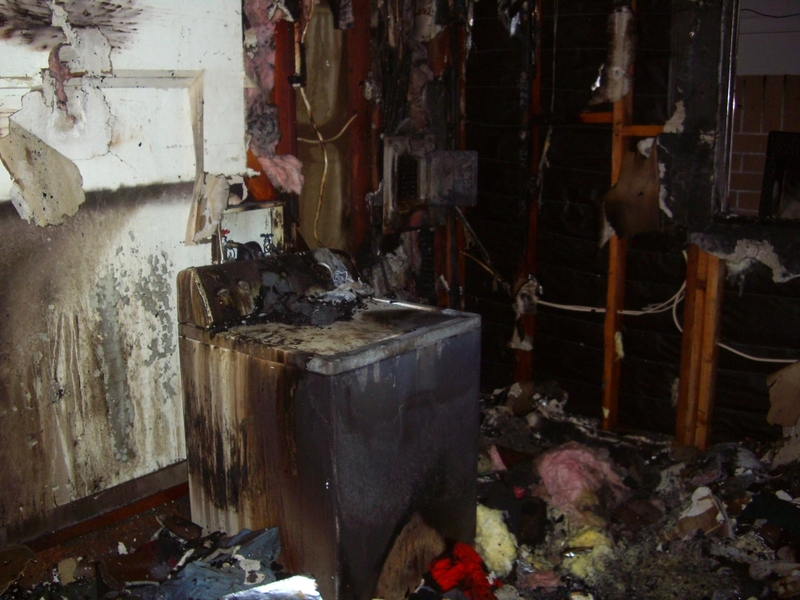 Did you know that 15,000 fires a year start in the clothes dryer? Most people think that all you have to do to prevent a fire starting in your clothes dryer is to clean the lint trap after each load, but there are actually several other things you can and should do to prevent a fire starting in your dryer. #1 – Clean the lint trap after every load. That’s right, keep doing that. Lint is very flammable and is the main reason that fires start in clothes dryers. #2 – Remove any lint that is collecting in the bottom of the lint trap. We often think that when we clean the lint off the little screen in the vent trap, this takes care of the lint problem. But that is not true. If you remove the little screen and look down farther in the lint trap, you are probably going to see an accumulation of more lint. Once a week or so, you should check and remove any lint that is in there, because it’s a fire waiting to happen! There is always the chance that the heat from your dryer will ignite that lint and start a fire. Use a lint brush or an attachment on your vacuum to remove the lint. #3 – Call a repairman to remove lint that you cannot reach. If your dryer is taking a long time to dry your clothes, there may be a buildup of lint inside the dryer where you can’t reach it — say, if you live in an apartment building on the 6th floor, for example. When the duct vents are clogged with lint or dirty, you need to have a clothes dryer repair person come out right away. He will have the proper tools and experience to give your dryer a thorough once over, and clean those duct vents so you don’t end up with a fire in your clothes dryer. #4 – Clean the heat vents on the back of your clothes dryer. Once a year, you should pull your dryer out and clean the heat vents in the back with a vacuum. Lint tends to accumulate back there too. And, if it gets hot enough, it can easily start a fire. #5 – Clean the dryer vent pipe or tube. Most people don’t even think about this, but cleaning the dryer vent pipe should also be done once a year. Just like the heating vents, the vent tube is located at the back on the bottom of your dryer. It connects to the heating vents. Take the time to clean the dryer vent pipe at the same time you clean the heat vents each year. #6 – Replace plastic or vinyl dryer ducts with metal ducts. If you (or your clothes dryer repair person) discover that you have the old style vinyl or plastic dryer ducts, have them replaced with metal ducts. The plastic and vinyl ones can catch fire more easily than metal ones; they are really just a fire waiting to happen. 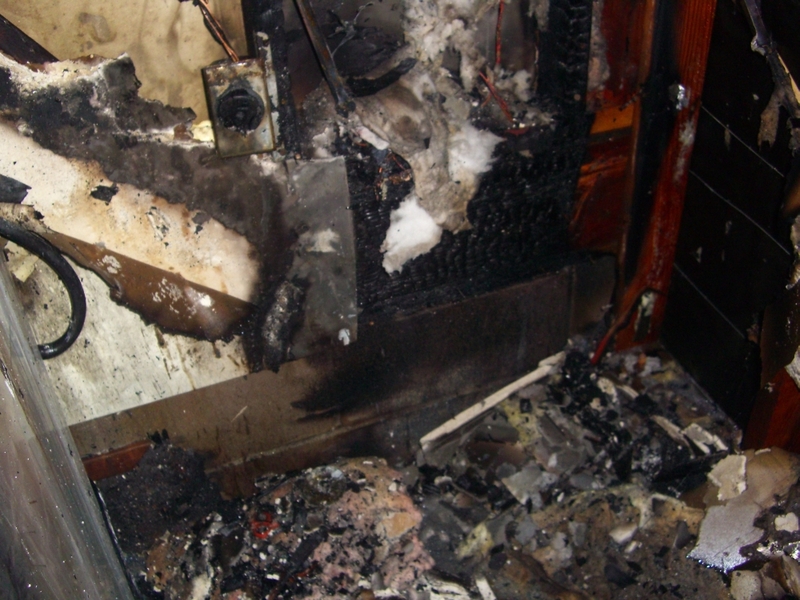 Doing these 6 things will go a long way towards preventing a fire in your clothes dryer. Why take the chance of losing your home or a loved one when an ounce of clothes dryer prevention can take care of any potential problems?